Description Sepia photo; worn edges. Same as 261a. 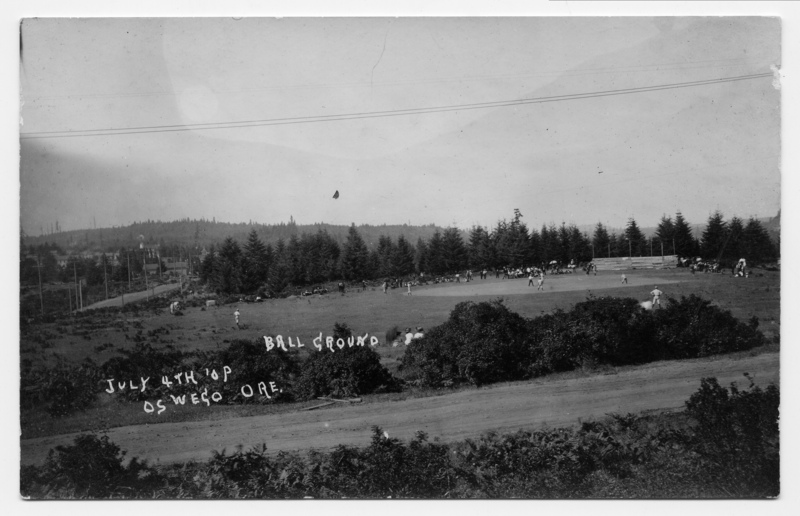 Caption on photo: Ball ground, July 4th '09, Oswego, Ore.